In the Great Commission, Jesus commands us to become disciples, be baptized, and learn to obey everything that He commanded. This 2nd Phase of the DIO Trilogy focuses on baptism. What is baptism? Is it necessary? Does baptism go beyond being dunked into water? These are the questions we are going to answer according to Scripture. What we will find is that God desires us to be baptized not only into water, but also into Him. He is inviting you to dive in. How deep are you willing to go? Coming to RightNow Media May 17, 2019. Jesus wants you to obey everything that He commanded. This means not only knowing what He wants you to do, but also how to do it. Disciples aim for perfection. God is calling you to come away from the culture of this world and enter into the culture of His Kingdom. 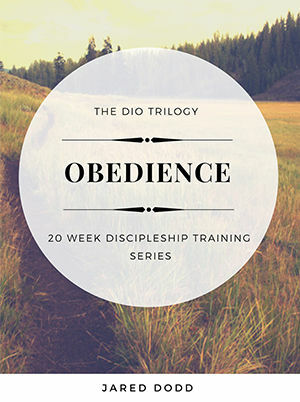 In this final part of the DIO Trilogy, you will learn how to train to obey God in every area of your life. Your life is no longer your own. It is time to die to self. If you are going to fulfill your destiny in God’s Kingdom, then you must become proficient in kingdom living. Don’t be afraid. God can teach you to obey Him fully. Victory is right around the corner. Jesus wants disciples. Period. He isn't content with mere head knowledge, church attendance or professions of faith. Much of the church today has minimized the importance of discipleship. In doing so, this has set many people up for hearing the fateful words, "Away from me, I never knew you." 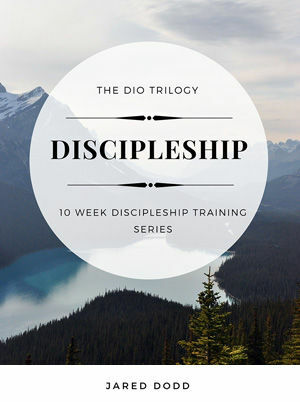 This is Phase One Discipleship Training that has changed so many lives throughout America. God is doing a great work and wants you to be a part of it. What does it mean to be a disciple? How much does discipleship cost? What is my role in God's Kingdom today? These are questions we will answer in this series. The greatest opportunity ever is set before you in the person of Jesus Christ. If you choose to follow Him with everything you have you will hear the words, "Well done, good and faithful servant." The choice is yours.